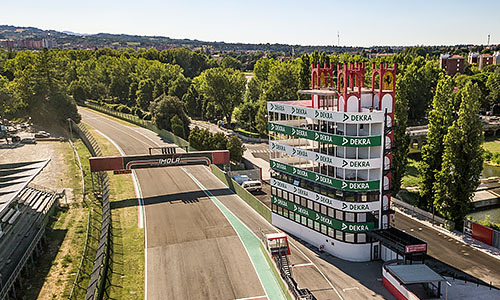 The structure houses the Race Direction on the ground floor, offices for the competition secretary and rooms for commissioners, while on the second floor the offices of the Autodromo are located, on the third and final floor we have a welcoming VIP room and other offices for different uses. 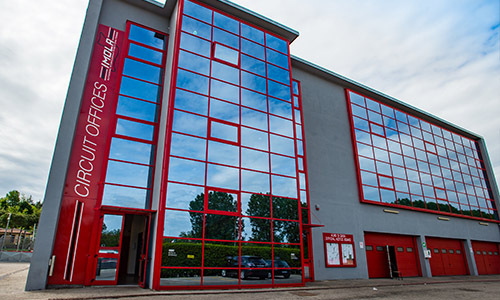 Built on 3 floors, each 750 square meters, the management can enjoys separate external access from paddock 1, as well as being directly connected to Parco Chiuso. 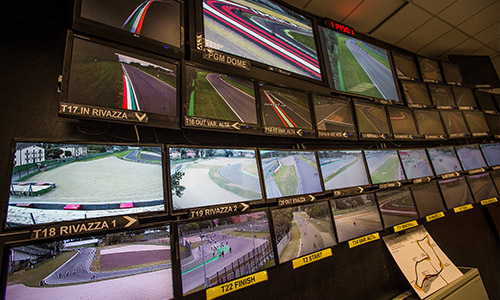 The new race control room, the brain of the circuit, is equipped with 47 LCD screens: the system allows you to constantly monitor what happens at every point of the track. There are 32 boxes available, with a surface area of 4,500 square meters on the ground floor. 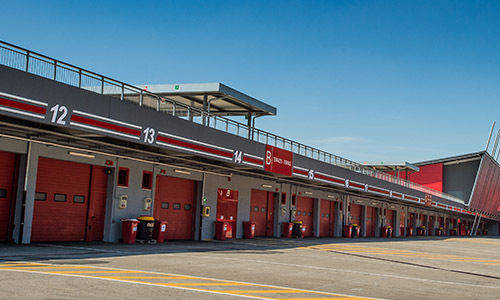 Internal dimensions: 16 x 6,6 m, added to which are two covered outdoor areas, respectively facing onto paddock 1 and the pit-lane. Each box is equipped with toilets, electricity, water and video. 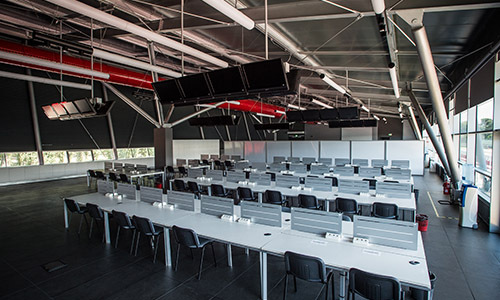 Located at the beginning of the box, with the tower to its back, the media center occupies an area of about 800 square meters and includes the Press and Conference Rooms. This building, the historic symbol of the racetrack decorated with prancing Ferrari horses, has not been affected by recent works. 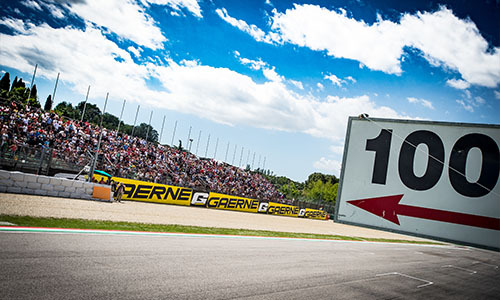 It contains on 7 above-ground floors which house offices, conference rooms, panoramic terraces that enjoy enchanting views of the starting straight, the low variant, the exit of the pit-lane and the entire paddock. Lawn areas: these consist of the 2 natural hills above the Tosa and Rivazza curves. 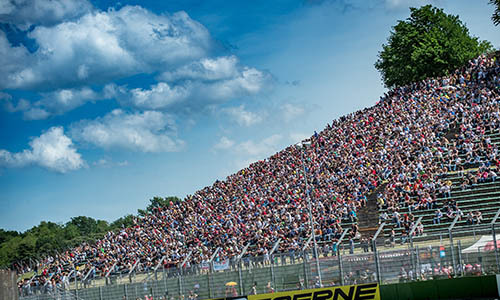 The total capacity is 43,500 seats divided into 8,500 seats on the noisy hill Tosa against the 35,000 roaring hearts of the legendary Rivazza. Racetrack’s total capacity: More than140,000 people.